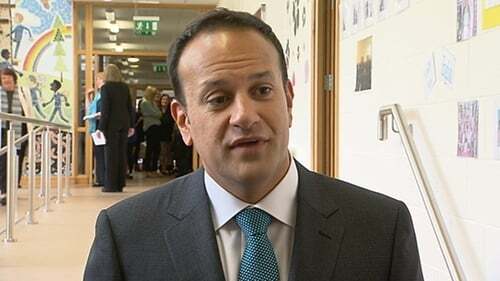 The Taoiseach has said that the Public Services Card is not and never will be a national identity card, and that there are no plans to introduce a national ID card. It comes amid concerns about the Public Services Card. Leo Varadkar said he does not agree with the characteristic of a national ID card which allows police and the army to ask people to show it. He said the Public Services Card is what the Government said it would be; it allows people to access public services and helps identify fraud. Mr Varadkar also said that there will be consequences for anyone who misuses personal data and he will respond to the concerns of the Data Protection Commissioner. Helen Dixon issued a statement last night saying the issue of transparency needs to be addressed in relation to the card. Speaking this morning, Mr Varadkar said he would never dismiss concerns about data security. He said there is a legislative basis for the Public Services Card and said it is a real benefit for citizens because it will allow services to be delivered efficiently and help identify and eliminate fraud. Ms Dixon said in her statement that there is a pressing need for updated, clearer and more detailed information to be communicated to the public regarding the mandatory use of the card. She said that this is not just a transparency requirement but also in the interests of maintaining confidence in the system. The statement added that the commissioner sought that the Department of Social Protection publish a comprehensive FAQ to clarify matters relating to the card. This is expected to be published shortly. Yesterday, Minister for Social Protection Regina Doherty said up to 50 public bodies have access to the data identity set stored on Public Services Cards, according to legislation passed in 2013. She also said there are no plans to store any more information on Public Services Cards in the future. Meanwhile, Sinn Féin TD Donnchadh Ó Laoghaire has called for a full Dáil debate about the new Public Services Card and called on the Government to be "straight and honest with people". Speaking to journalists at Leinster House, he said: "The Government needs to be honest and straight with people. I think there has been an element of an attempt to bring this in without any serious debate. "There have been huge questions identified by a number of privacy law experts in relation to the statutory basis for the card or the statutory basis for people being required to present the card. There are huge questions about the legality of that requirement and the statutory basis for it. "It is not necessarily clear that this forthcoming piece of legislation will deal with that either. I think that there needs to be a full debate."